Our roof cleaning starts by agitating about 75-95% of the moss off. Next we use a backpack blower to blow the loose moss and debris off the roof. We clean the gutters and downspouts. We use a zinc based moss treatment on the entire roof to kill the remaining low line moss. And last but not least we clean up our mess. 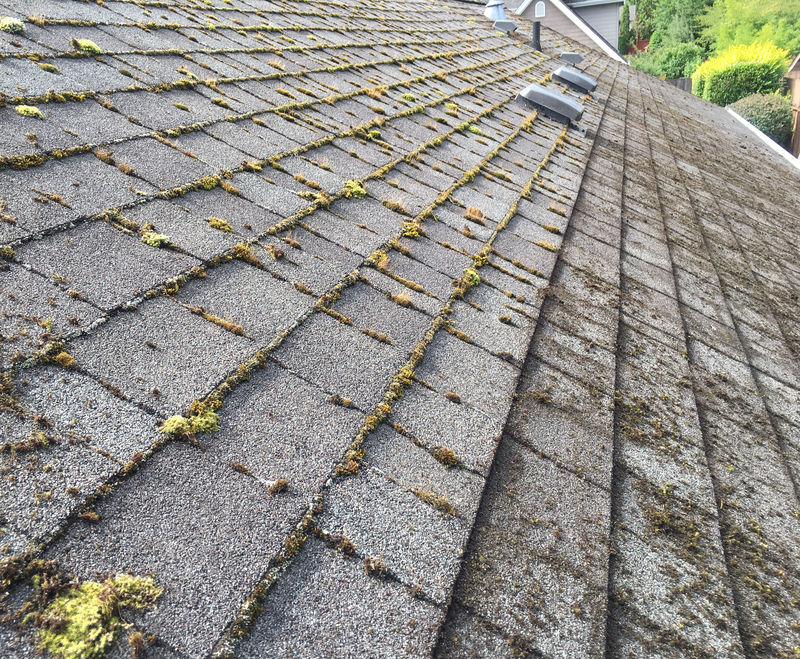 We have found this three step precess is the most aggressive on the moss and least aggressive on your roof.